Amazon is offering 20% Off Father's Day Gifts with code JUSTFORDAD at checkout. That makes this Columbia Men's Trifold Wallet 11.99 (Retail $30). Eligible items sold and shipped by Amazon. These are sooo cute! Today and tomorrow only, get a Bebe Bella Designs Baby Bundle for only $20 Shipped (Retail $65). Is there a better gift for Father's Day than a Custom Photo Book, designed just for him? My Publisher is offering their best-selling book size, 8.5" x 11.25" is now FREE to celebrate Dad (Retail $29.99). Looking for a new coffee maker? Today only, Best Buy has the highly rated Cuisinart - Grind & Brew Single-Cup Coffeemaker for only $59.99 Shipped (Retail $99.99). 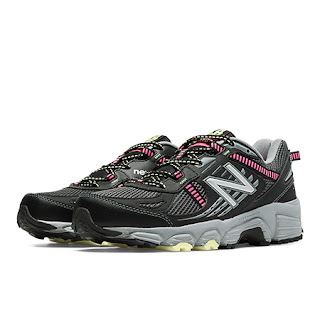 Today only you can get these Women's New Balance Running Shoes for ONLY $34.99 (Retail $64.99)! Hit the trail running in the lightweight and supportive 410 with a cushioned XLT footbed atop the ground-happy grip of a lightly lugged sole to keep you firmly planted on the beaten path. The 410 is a must for anyone looking to take your run off road. The Children's Place Summer Clearance Blowout Up to 80% off + Free Shipping! Today only, shop The Children's Place Summer Clearance Blowout with savings up to 80% off & Free Shipping with code: ONLINE3. Valid 6/9 only. Hancock Fabrics 15% off Entire Purchase 6/9! Here's one of my favorite deals. Today only, save 15% off your entire purchase at Hancock Fabrics with code: AXHFT. Standard exclusions apply. Valid 6/9 only. Plus, check out the Summer Sale going on now through June 10th with savings up to 50% off. Shoppers will love the styles and love the prices!! Starting today, the biggest Surprise Sale in TOMS history with prices up to 70% off on inventory from previous seasons footwear, eyewear and more! For example the Red Wool Dot Youth Classics are $20.90 (Retail $38).